Susan Gunelius, contributor to Forbes, wrote Understanding the New ROI of Marketing on May 14th. The article has some important takeaways, but fails to adequately leverage longstanding marketing 101 principles. With a little context, the full value of the article can be realized. This holds true when presented in the correct context because marketing is not linear, but rather exists in three dimensions. It also has three distinct campaign segments: goals, strategies and tactics. Additionally, every tactic in a campaign has its own goal, strategy and tactics as demonstrated below. By using the phrase “marketing programs,” she is referring to the measurement of marketing campaign tactics. 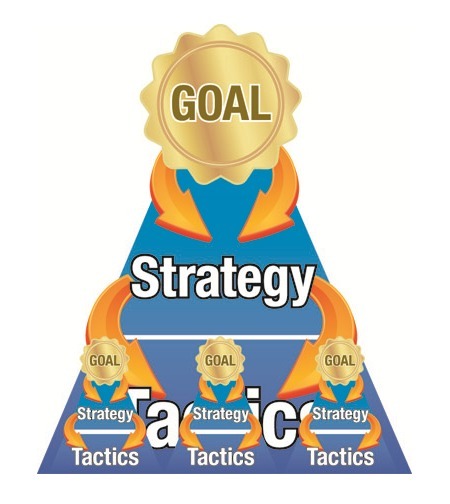 It’s important to make the distinction between measuring marketing tactics and measuring overall marketing campaign goals, because ultimately, ROI is the final marketing campaign metric that counts for the owner, president, CEO, stock holders and/or board. When measuring individual tactics, however, ROI may not be the sole criterion to determine if tactics are working. In fact, ROI doesn’t need to be measured at all if the greater campaign (goal or strategy) the tactic belongs to measures ROI. This statement can be considered accurate in some cases. With tactical context it is probably true in most cases. However, she fails to communicate this and leaves many thinking that ROI is potentially irrelevant to a campaign when in actuality it’s potentially irrelevant to a campaign tactic or strategy. 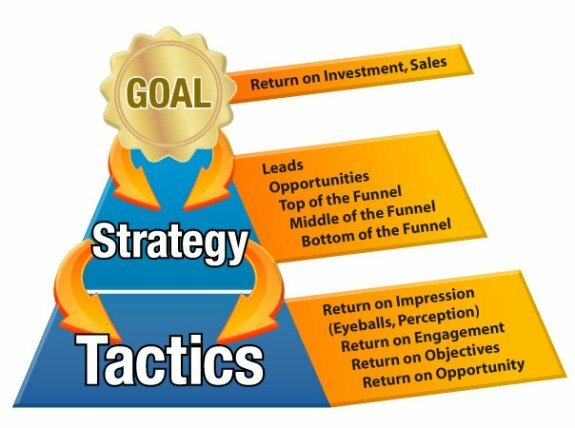 Not all tactics and strategies need to be measured with ROI as demonstrated below. She’s correct, as demonstrated in the above graphic traditional ROI is the tip of the iceberg (pyramid). It represents one of a few potential alpha measurements that define a campaign’s overall goal or goals. Metrics used by marketers to measure the performance of the strategies and tactics they use can be anything that makes sense to the campaign; whether it’s new, old or invented. Sometimes these can be called soft metrics. 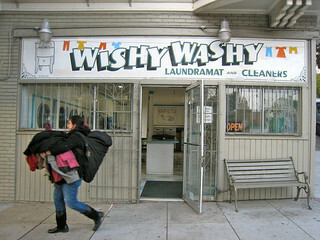 The term wishy washy is used to describe the soft metrics that rarely have a direct path to ROI or aren’t really measurable in the first place. A good example of this is social media influence. While soft metrics may say a lot about campaign tactics or strategy, the hard metric of ROI determines whether or not the overall campaign was successful.